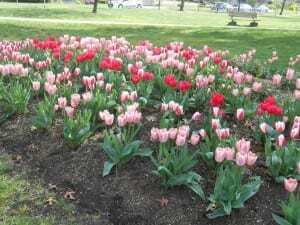 Princess Juliana presented to the people of Canada A NUMBER OF GIFTS , including 100000 tulip bulbs, the following year an additional 20500 bulbs were received. 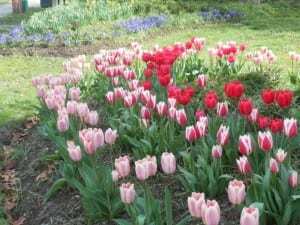 Princess Juliana became Queen of the Netherlands in 1948, she continued to send thousands of tulip bulbs to Canada each year during her reign. 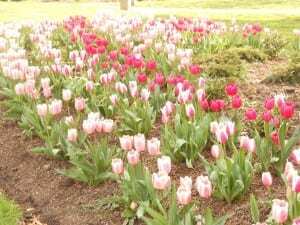 These tulips have quickly become a treasured tourist attraction, and stunning pictures of these tulips can be found all over in newspapers and magazines. as a sustaining friendship that links Netherlands and Canada, over one million tulips are planted each year.